Brendan Clarke; Ger O'Brien, Darren Dennehy, Sean Hoare, Ian Bermingham; Shane McEleney, David Cawley, Graham Kelly (Mark Timlin, 72); Conan Byrne, Christy Fagan (Dinny Corcoran, 79), Billy Dennehy. Conor Winn; Colm Horgan, Paul Sinnott, Stephen Folan, Stephen Walsh; Gary Shanahan (Conor Melody, 77), John Sullivan, Ryan Connolly, Kevin Devaney (Kilian Cantwell, 85); Ruairi Keating (Enda Curran, 45), Vinny Faherty. 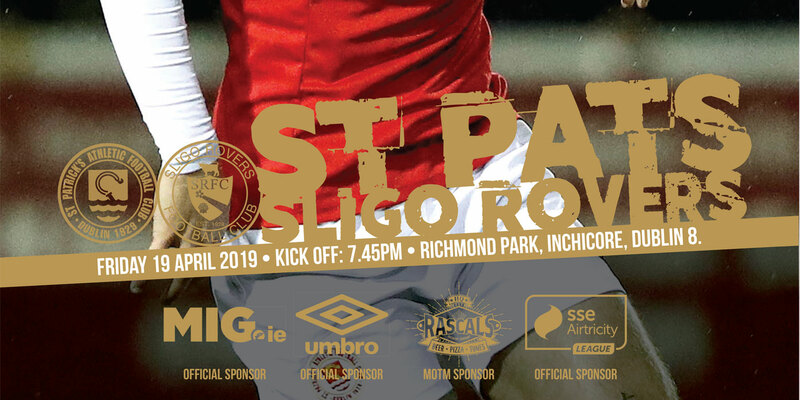 John Sullivan and Enda Curran struck late goals as Galway United claimed a surprise 3-1 SSE Airtricity League Premier Division victory against St Patrick's Athletic at Richmond Park. Following a poor opening period, Pat's hit the front immediately after the restart courtesy of a glancing Christy Fagan header. A determined Galway side replied in the 58th minute when former Saints striker Vinny Faherty equalised. 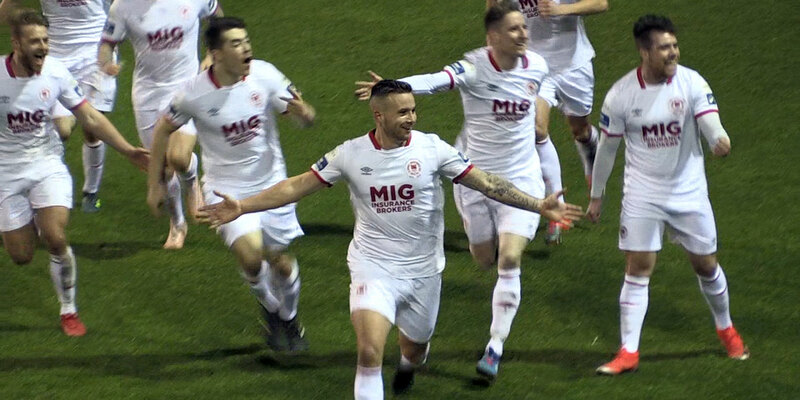 In the closing stages Sullivan was left unmarked in the area to head home Ryan Connolly's precise free-kick and Curran decorated the win in stoppage time. 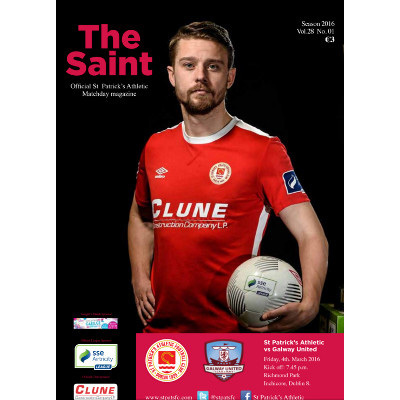 The visitors were bright initially, crafting a fourth-minute chance when Gary Shanahan combined with Faherty, but Ruari Keating just couldn't apply the necessary touch. At the opposite end, Billy Dennehy drilled a seventh-minute free-kick narrowly wide as the home side attempted to land a blow. There was little wrong with Galway's attitude and application as John Sullivan battled impressively in the centre of the park alongside Connolly. 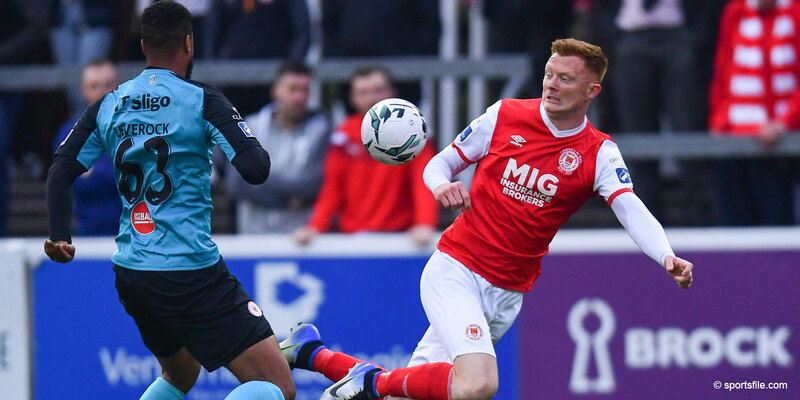 Pat's repeatedly tried to involve Conan Byrne wide on the right, while Graham Kelly - one of four making a first start for Liam Buckley's charges - drilled a 28th-minute shot over the bar. From then until the interval Pat's probed, but Galway remained resolute, with Paul Sinnott and Stephen Folan marshalling the defence. But within a minute of the restart, Pat's bagged a goal when Fagan expertly headed home an inviting Billy Dennehy cross. Despite conceding, Galway responded as Sullivan continued to supply plenty of industry with Kevin Devaney a threat on the left. A gritty Galway outfit levelled in the 58th minute when Faherty manufactured space to score from an acute angle. Substitute Enda Curran clipped an attempt wide on 65 minutes as Galway continued to cause the Saints problems. Christy Fagan did force a smashing reflex save from Galway goalkeeper Conor Winn in the 78th minute before Tommy Dunne's team pounced. Connolly's delivery was immaculate and Sullivan's firm header ensured Galway seized the initiative. Galway finished with a real flourish as Curran added a last-gasp third to stun the hosts on the banks of the Camac.